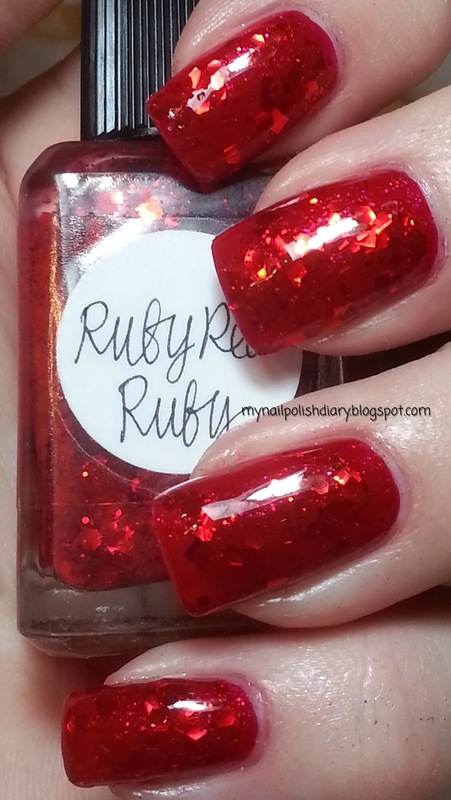 Lynnderella Ruby Red Ruby, from the 2010 Holiday Collection, is so stunning. 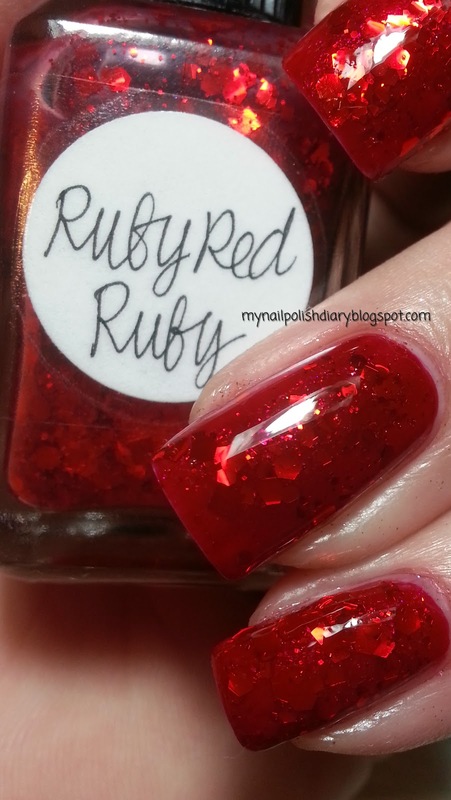 I don't normally wear a glittler for my whole mani, but I decided to try it with RRR. So glad I did. It looks so good and boy did I get some compliments! I used OPI Ali's Big Break from the Holiday 2010 Burlesque Collection for my underwear. They're a perfect match. I can't get enough red polish and it isn't even December yet!